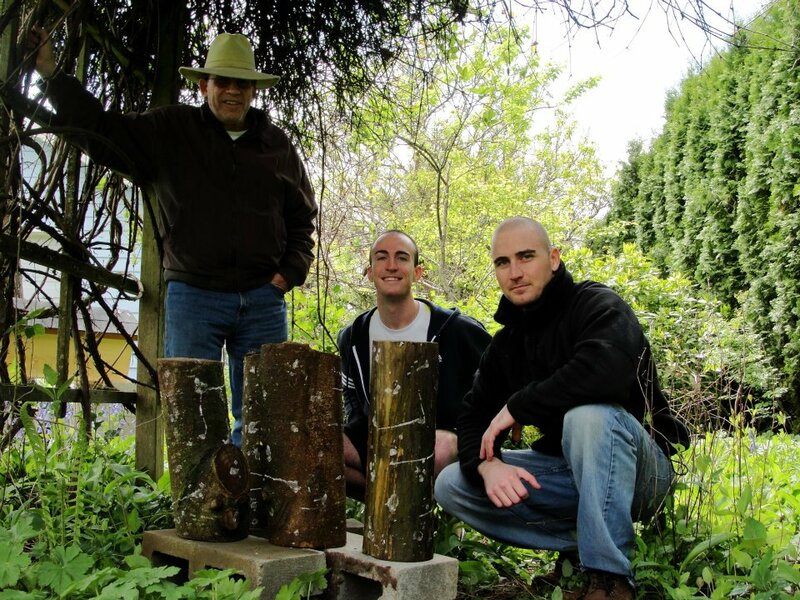 Today we inoculated wood logs with shitake mushroom spores. These will produce mushrooms in about 6 to 18 months. 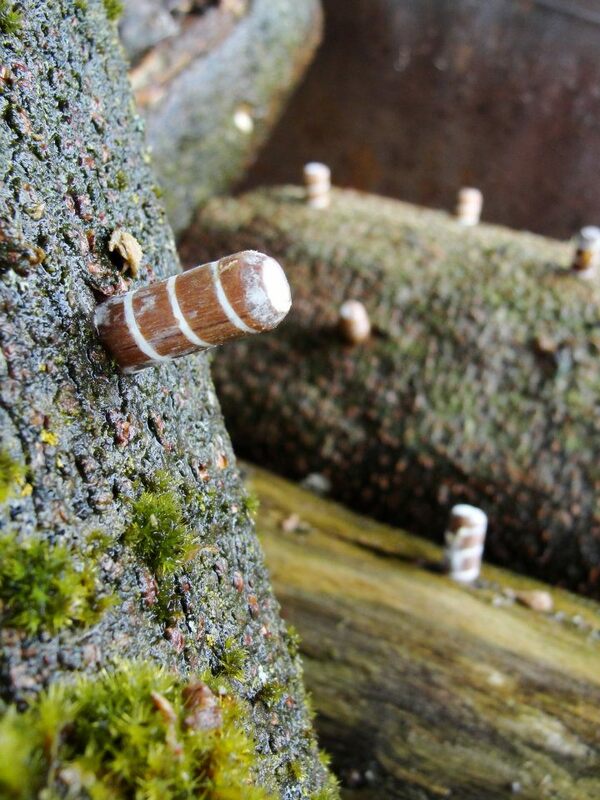 The spores will feed off of the logs for years, producing mushrooms every 6 months until the logs decay. The logs here are shown with the spores placed in pre-drilled holes and will be hammered into the log, and covered in melted paraffin wax. The spores come on small wood dowels that you hammer into the wood holes like “Wack’a’mole.” This photo is taken just prior to me going crazy with the hammer.The spores will feed off of the logs for years, producing mushrooms every 6 months until the logs decay. The first step is to soak the fresh-cut logs in water for 24 hours. 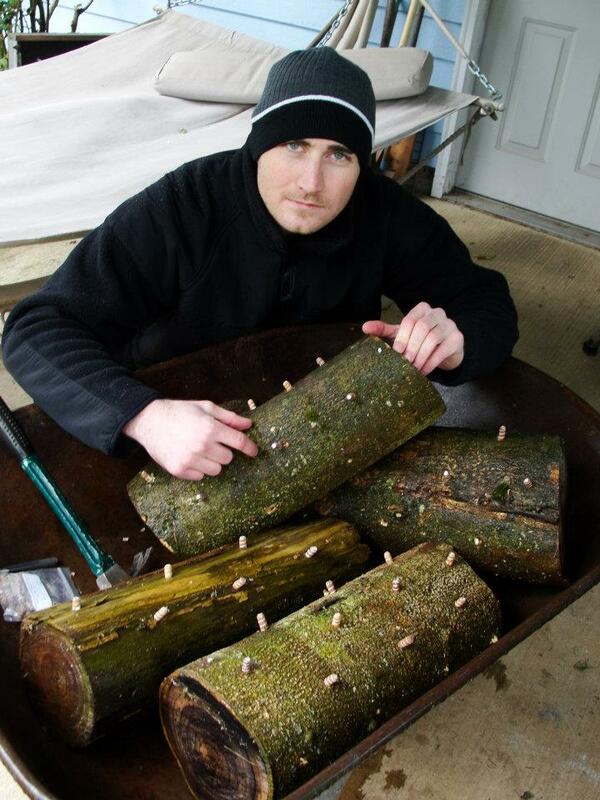 Then drill 1 1/4” holes in the logs and insert the spores. The spores come on small wood dowels that you hammer into the wood holes like “Wack’a’mole.” We melted paraffin (a household wax) over the holes to secure the spores.